Channing Tatum is going undercover with Sony Pictures. The studio has picked up an untitled crime thriller with Tatum attached to star and produce. Joining Tatum as producers are his partner, Reid Carolin, as well as Craig Zadan and Neil Meron, best known for movie musicals such as Chicago and producing the recent 86th Academy Awards. Set in the late 1970s, the untitled project is described as the inspiring true story of an ordinary family man who decides to risk everything by going undercover to take down the biggest mob boss in the country. BEVERLY HILLS, CA – Motion picture, television and theater producing team Craig Zadan and Neil Meron will return to produce the Oscars for a third consecutive year, Academy President Cheryl Boone Isaacs announced today. The 87th Oscars will air live on the ABC Television Network on Oscar® Sunday, February 22, 2015. EXCLUSIVE: Craig Zadan and Neil Meron, who are behind NBC‘s upcoming live staging ofThe Sound Of Music, are developing another ambitious event program for the network. The duo has teamed with NBC for Nemesis, an eight-hour miniseries about famous Prohibition agent Eliot Ness, who was portrayed by Kevin Costner in Brian Fe Palma’s Oscar-winning The Untouchables. The project, from Sony Pictures TV — where Zadan and Meron’s Storyline Entertainment has a long-form deal — is based on the book Nemesis: The Final Case Of Eliot Ness by William Bernhardt. It tells the true story of Ness in 1935, post-Untouchables, as Cleveland’s newly appointed Director of Public Safety. Bodies have started turning up — each one decapitated and dissected with a doctor’s skill and a madman’s bent. The police are baffled and the population is terrorized over America’s first serial killer, the so-called “Torso Killer.” Though it’s not his turf, Ness is forced to take over the case, but the more energy he pours into the investigation, the more it takes over and threatens to destroy his life. 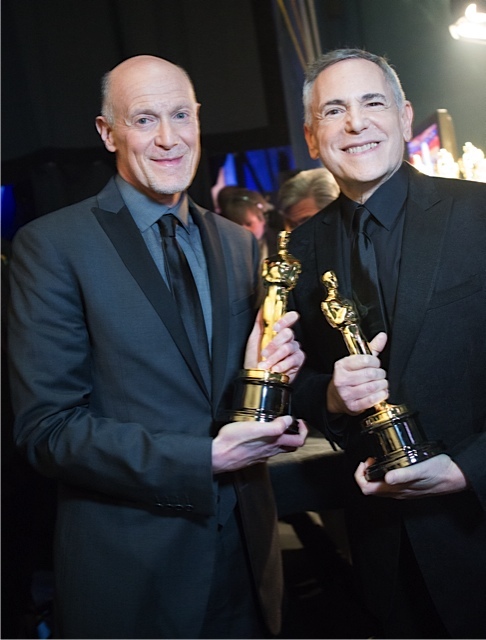 BEVERLY HILLS, CA – The acclaimed motion picture, television and theater producing team of Craig Zadan and Neil Meron will return to produce the Oscars for a second time next year, Academy President Hawk Koch announced. The Academy Awards® will air live on ABC on Oscar® Sunday, March 2, 2014. The Queen Latifah starrer from “Smash” executive producers Craig Zadan and Neil Meron ranks as the network’s third-most-watched telecast ever. The telepic, starring Queen Latifah, Phylicia Rashad and Alfre Woodard, collected 6.5 million total viewers, ranking as the female-skewing cable network’s third-most-watched telecast ever. Beverly Hills, CA – Acclaimed motion picture, television and theater producers Craig Zadan and Neil Meron will produce the 85th Academy Awards, Academy President Hawk Koch announced today. This will be the duo’s first involvement with the Oscars. The 85th Academy Awards will air live on Oscar® Sunday, February 24, 2013. Network television will soon be live with the sound of music. Oscar winner Jennifer Hudson, of “Dreamgirls” movie fame, will play a Tony Award-winning Broadway star in a multi-episode arc in the second season of the NBC-TV musical series “Smash.” The casting was announced by Universal on June 22. Shooting for the hourlong series’ next chapter begins this summer in and around New York City. It will return to the NBC schedule in mid-season, in the winter. 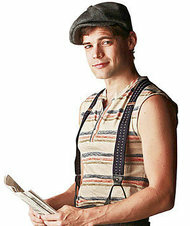 Jeremy Jordan, a 2012 Tony nominee for Broadway’s Newsies, was previously announced the join the cast in season two.